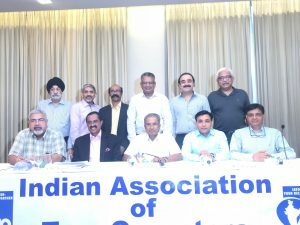 In its monthly luncheon meeting held at The Metropolitan Hotel and Spa, New Delhi, the Indian Association of Tour Operators (IATO) updated its members about its upcoming convention and participation in various roadshows with the Ministry as well as in the India Tourism Mart. Chairing the meeting was Pronab Sarkar, President, IATO; EM Najeeb, Senior Vice President, IATO and Rajesh Mudgill, Honorary Secretary, IATO. They attended to the queries of the members and solved their concerns regarding GST. The IATO Managing Committee also felicitated Ajeet Bajaj and his daughter Diya Bajaj for accomplishing the feat of climbing Mount Everest recently. 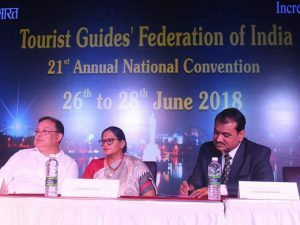 Around 250 regional level guides from different units of India recently attended the Tourist Guides’ Federation of India (TGFI) Annual National Convention in Hyderabad. 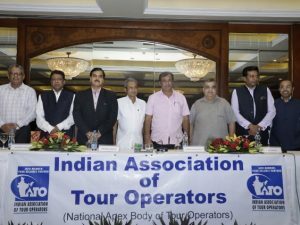 Representatives from tourism associations like Indian Association of Tour Operators (IATO) and Travel Agents Association of India (TAAI) also marked their presence at the event. The convention held discussions on current tourism policies, tourism promotion, tour guide fee revision, general body elections and cooperation with Ministry of Tourism (MOT) and IATO, etc. Sunita M Bhagwat, IFS, Commissioner, Department of Tourism, Government of Telangana was the chief guest for the inaugural ceremony. Shreevats Sanjay, Regional Director (South), India Tourism; Subhash Goyal, Honorary Secretary, FAITH; K Ranga Reddy, Chairman, IATO Telangana & Andhra Pradesh Chapter; C V Shankar Reddy, Assistant Director, India Tourism were also present at the opening ceremony. TGFI unanimously elected New Executive Body for 2018-2020. Ajay Singh has been elected as the President of the association. 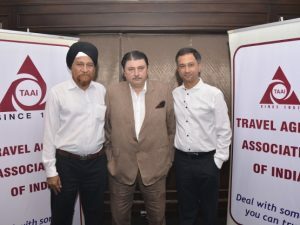 Travel Agents Association of India- Northern Region has elected Neeraj Malhotra, Co-founder and CEO, Ganpati Travels, as its new Chairman, while Gaurav Dogra, Founder, Plan Your Holiday, is the new Honorary Secretary. Gurdevinder Singh of Bhagwant Travel and Tours has been elected for the position of Treasurer for 2017-19. Malhotra said, “I am thankful to the team of TAAI-NR for their support and faith in me. Going forward, our first agenda is to consolidate the members and also focus on increasing membership during our term. Since our industry is going through tough times with the implementation of GST, we will be conducting various knowledge sessions to address and explain to the members how they can work under this regime. Also in collaboration with various organisations like PHD Chamber of Commerce and CII, we will be holding education seminars for our members to increase the information quotient. We are also looking at offering value additions to our members like education conferences abroad, more familiarisation trips to learn about new destinations and sell them to increase their revenue arm.” TAAI Northern Region also plans to partner with multiple tourism boards to conduct learning sessions for its members. 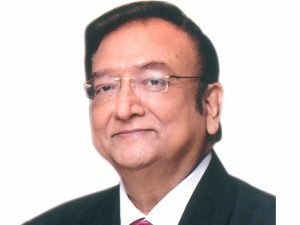 Two nominations have been filed for the post of Sr. Vice President of Indian Association of Tour Operators, while three nominations have been received for the post of Vice President. Two nominations each have been filed for both Honorary Secretary and Honorary Treasurer’s positions and a total of four nominations have been filed for the position of Honorary Joint Secretary. IATO elections are scheduled for April 23, 2016. Some candidates have filed nominations for multiple positions and will have to retain only one position for which they want to contest. Hence they need to withdraw their names by 3 pm, March 22, 2016.